A light, pearly cream with a velvety feel. 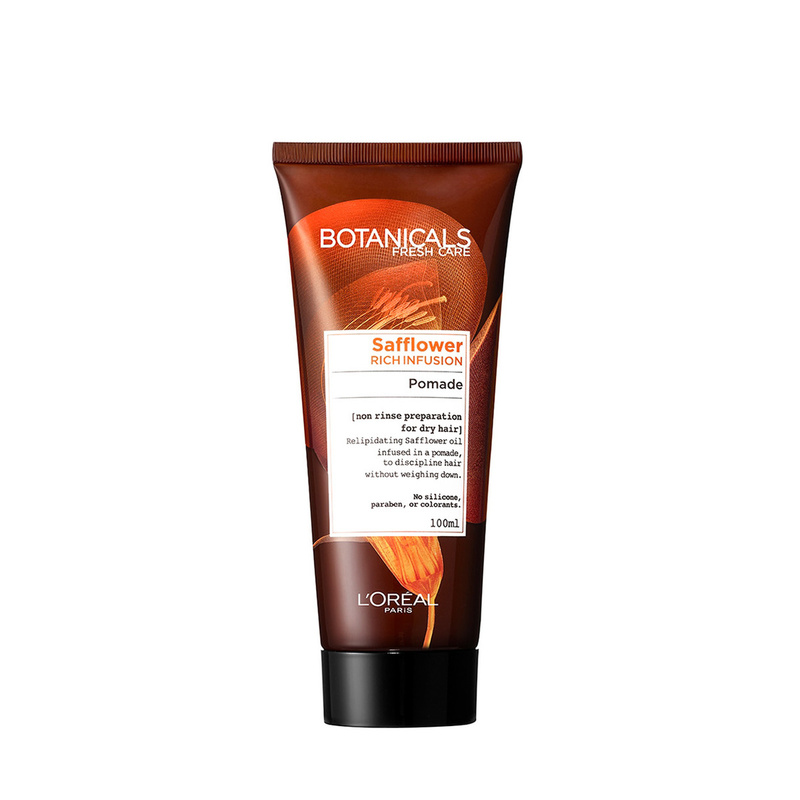 Associates our botanical complex with a rich infusion of safflower. Nourishes, replenishes and softens dry hair. apply a walnut-sized knob of Botanicals Safllower Rich Infusion Softening Pommade onto wet hair for a nourishing effect, or onto dry hair as a finishing touch to soften & tame.